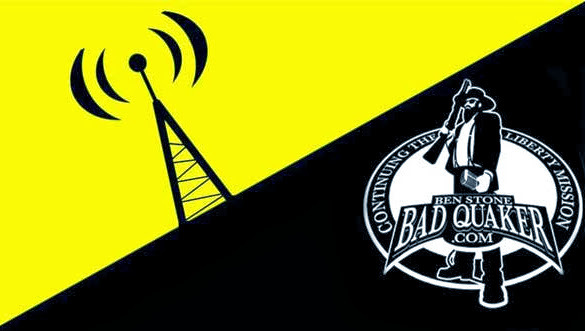 ← Ben and Michael On The Radio! Over 30 actual radio stations. If You Meet The Libertarian Buddha, Kill Him! Ben Stone with Michael Dean and Randy England, rock the airwaves across America on actual radio stations. Ben, Michael, and Randy, shed a bit more light on a self-deceiving world by talking about how libertarians don’t need kings, even voluntary kings. Plus, as a special bonus, they talk about what will happen if Michael dies or if Ben loses his mind and wanders around England in his underwear. To hear the show, CLICK HERE. Click HERE for a list of actual radio stations that play the Freedom Feens Radio Show, or click HERE to visit the Freedom Feens web site. This entry was posted in Freedom Feens and tagged bad publicity, Buddha, Fatty Arbuckle, if you meet the Buddha on the road, leaders, Sid Barrett, truth. Bookmark the permalink.